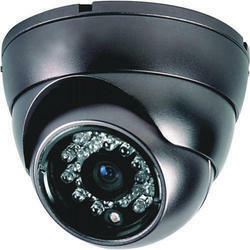 We are a leading Manufacturer of cctv dome camera from Chennai, India. Kongu Engineers is the leading service provider and distributor of Dome camera. The Honeywell Performance Series includes a variety of indoor, outdoor and low light cameras for virtually any installation. Ideal for a diverse range of applications, the Performance Series includes a wide range of high performing IR bullet cameras and mini-domes that are easy to install and even easier to use.